The driver is responsible for ensuring all passengers under 15 years of age wear seat belts. Passengers 15 years of age and over are responsible for putting seat belts on themselves. If you are riding a motorbike, moped or ATV, and some agricultural vehicles then you won’t have seatbelts – this only applies to light and heavy vehicles. All passengers travelling in a vehicle where seat belts are fitted in their seating position must use the seat belts. There are special provisions for passengers aged 0-7 who must use an approved safety seat – you can read more about the requirements here. Your seat belts must be kept in good condition or your vehicle could be ordered off the road in a roadside inspection, or it might fail its Warrant of Fitness. If you are delivering newspapers, mail or other goods; servicing the vehicle; reading meters; spraying weeds; performing a job that requires you alight and re-enter the vehicle frequently such as rubbish collection; and you don’t exceed 50kph. If you are an enforcement officer transporting a person who isn’t an enforcement officer where it might be considered impractical or dangerous to wear a seatbelt; or you are executing your work duties. Applying for an exemption can be done with NZTA and costs $27.20. It’s non-refundable whether or not your extension is granted. All campervans built on or after 1 October 2003, or vehicles converted to motorhomes after 1 October 2003, must be fitted with safety belts. They must have at least the same number of belts as there are sleeping berths, e.g. if it sleeps 4 there must be at least 4 safety belts. The front driver and passenger must have three-point, dual-sensitive, retractor safety belts. A front middle seat must at least have a lap belt. All rear seats must have at least a lap belt. 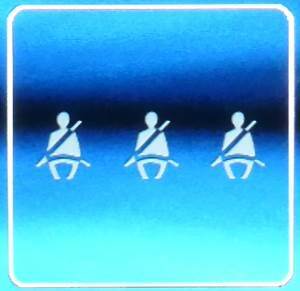 It’s recommended that seatbelts are upgraded to lap and diagonal if possible unless they are sideways facing in which case they must remain lap belts.